Getting diagnosed with cancer is one of the hardest things anyone will ever have to go through. The process of going through treatment can feel scary and lonely, even if you have the support of family and friends. Luckily, there is a way to get support from people who are also battling cancer themselves. The Belong app is the largest social platform to allow cancer patients and their caregivers to connect and support one another. 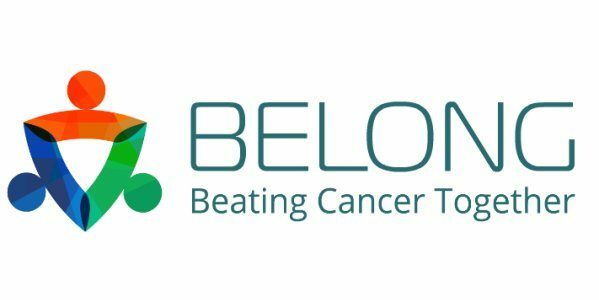 With Belong, you don’t have to fight cancer alone! The Belong app is available from both the Apple Store and Google Play for free. To get started, you just download the app, then sign in by indicating whether you’re just interested in the app, are a fighter (patient), family/friend, or medical staff. You enter your phone number and Belong sends you a verification code. Then you can choose your interests or the type of cancer that you need support with. There’s a huge range of available support groups to join (from breast cancer and colon cancer to leukemia and melanoma) where you can connect with people going through the exact same experience as you. With over 24,000 people in the breast cancer support group alone, there will always be plenty of people you can connect with to get help. From there, you can also select ‘families’ or groups that are relevant to you. These groups give you the ability to ask oncologists and radiologists questions, find out about clinical trials near you, and get information from other cancer patients. There’s a wide variety of topics you can research, including side effects, alternative medicine options, and spiritual guidance. Belong not only has gives you access to a big network of supports; it also has plenty of other benefits too. For example, Belong offers you the option of organizing and managing all of your medical records right from your smartphone. You can easily share this information with your team of medical professionals or with your friends and family. Belong helps you keep track of your doctor’s visits, chemotherapy sessions, lab work, and blood test results all in one place. Plus, the ability to ask questions from cancer experts and other patients means help will only be a click away. Belong is well-designed with an intuitive interface that makes navigating the app a piece of cake. It’s also easy to personalize the app so that you’re only getting notifications that are important to you. The only downside of Belong is that it can get overwhelming to keep up with all of the many posts and questions that the group is talking about. Just remember to focus only on the groups and posts that are the most relevant to your treatment, and you’ll be able to swim through the large amount of content. Don’t wait to get support – download the Belong app today to find the new network of friends that will have your back during your cancer journey!